During the UK's heat wave water companies are urging Brits to shower in four minutes or less to conserve water. 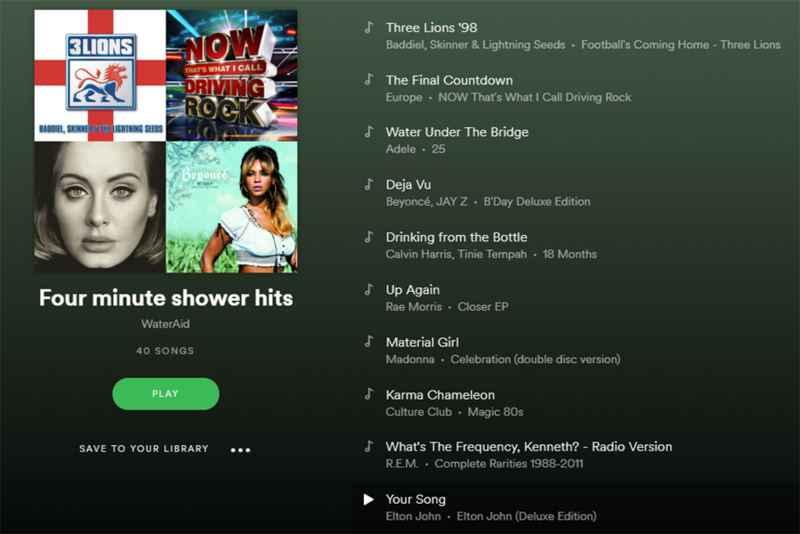 To help this effort, the charity Water Aid has made a Spotify playlist of songs that last exactly four minutes to make sure people don’t shower too long. Created by Y&R London, the playlist includes the timely football anthem Three Lions (Football’s Coming Home), which England fans are singing again during the World Cup. There is also a water-related track, Adele’s Water Under the Bridge. Listen to the playlist here. Private view: Where has all the funny gone?